Though his heart is also broken, Jeremiah realizes that his gift of gardening is about far more than pulling weeds and planting flowers. It’s about tending hearts as well. As he uses the tools that have been placed in his hands, he gently begins to cultivate the hard soil of Mackenzie’s heart, hoping to help her realize what it took him years to discover. A Southern tale of loss, love, and living, The First Gardner reminds us that all of life is a gift, but our heart is the most valuable gift of all. If I could only use one word to describe this book, that one word would simply be WOW! What an amazing, heartbreaking, touching story. Like so many these days it seems, Tennessee Governor Gray and his wife Mackenzie struggled for years to conceive their daughter Maddie. When she is killed in a tragic car accident, their whole world falls apart. As a mother, I can imagine nothing worse than losing a child, but for this mother who struggled to conceive and had had many miscarriages, I can only imagine it would be especially devastating. Mackenzie falls into a deep depression that it seems impossible for her to return from. During parts of this story, I had to put the book down and step away for a bit, I'm sure many mothers will feel the same way as well. However, we are introduced to some wonderful characters that keep it from going too dark, and as a reader I appreciate that! 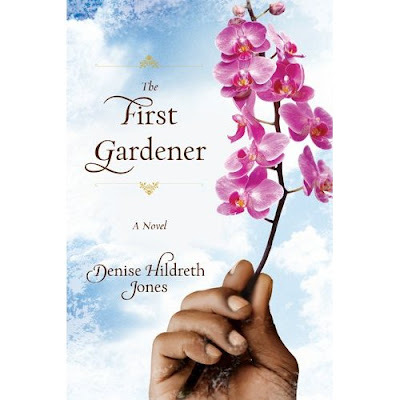 We meet Mackenzie's mother Eugenia and her crazy friends, who provide wonderful comic relief, and we meet the wise, spiritual gardener Jeremiah who through messages from God to deliver flowers with various means to Mackenzie offers a sense of hope. Based on the title and description from the publisher, I expected the story to be much more focused on him, but his role, though very important, was also much more subtle than anticipated. Regardless, he was a character I really loved, and there was a bit of a revelation at the end that made me admire him all that much more. Overall, I would say this a wonderfully touching store about love, loss and learning to live through all odds. **I received a copy of this book from Tyndale Blog Network for free, in exchange for my honest opinion. All thoughts are my own.